Don and Virginia Weber were married on July 2, 1949 at the St. Paul's Evangelical and Reformed Church. Virginia is the daughter of Mollie Henkel and John Weber. 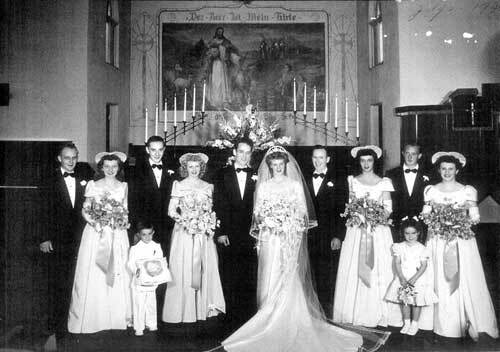 Don and Virginia Weber wedding photograph on July 2, 1949 at the St. Paul's Church. Courtesy of Kimberlee Henkel-Moody. Information and photograph courtesy of Kimberlee Henkel-Moody. Last updated March 22, 2018.